Hi everyone! This post has been a long time coming. I have been itching to start nail school for a really long time, and finally, it's here! I'll be doing regular (or semi-regular) updates about my experience, what I've learnt and anything else that seems worth sharing. 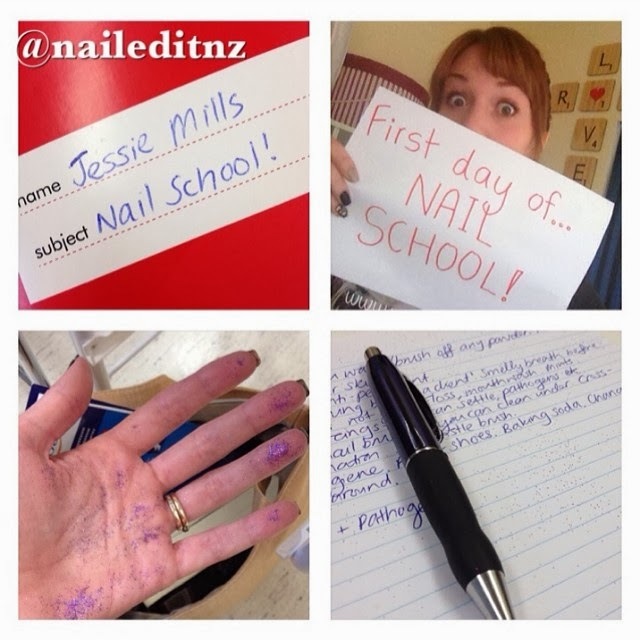 I've called it the "Nail School Diaries" - just because it sounds cooler than "My Experience Training as a Nail Technician" ☺. First up, I'll give you a little background to how I ended up choosing to train as a nail tech - it wasn't as straight-forward and obvious as it might seem! As you may know, I started doing nail art just under two years ago, and this blog quickly followed. I've had many different career ambitions in my life; including train driver (! ), kindergarten teacher, lawyer, vet and journalist. This indecision led to me doing a Bachelor of Arts degree (yes, I'm a cliché), and in my third year I discovered that I really enjoyed painting tiny pictures on my nails. Like, REALLY enjoyed it, and the social media side of it made it even better. 30,000 followers - whaaat!? I've never been as motivated, passionate and obsessed with anything. However, I never really considered it as a career until about a year later. At this point I was working as a preschool teacher, untrained but enjoying it. It will always be my second choice, but I was too scared to commit to my first choice; nails. Then I realised that the only reason I was hesitant into going into the nail industry is the stigma that surrounds it. Beauty, nails, hair - to some it's not considered "smart" or "important" work. It's portrayed as "trivial" or "superficial" - all you need to do is read the YouTube comments on beauty guru's videos to see this. I have had to deal with countless people's eyes glaze over, writing me off, when I mention "nail technician," and have had many others try to talk me out of it. What they are implying is something that, at it's roots, is a nice sentiment; you can do better. It's so hard not to reply with; Thank you; now shut up. This has made me think a bit. Why does society count some careers as better than others? Lawyers, doctors, scientists and the like all are seen as successful careers to be in, but why? Is it the money? I read about a nail tech who makes $300,000 US a year. Is it the morals? Um, criminal defence lawyers! Is it their presence in popular culture, the stereotyping shown in movies, is it the amount of exposure they get? Do our cultures simply value science and mathematics over art, over making things beautiful? I still haven't figured it out, and maybe I never will, but either way, I refuse to conform to it. If I did something else, I would always regret that I settled for second best; I didn't give my greatest passion a chance. So I signed up. This may very well not work out for me. But at least I tried, and I think if you have this level of passion, you will succeed. My course is six months long. It's three full days a week and covers everything. I didn't want to just learn how to do gels and acrylics, I want to know the science behind it, and all the little details. This was very important to me! On the first day we did a lot of orientation-related things. There was a Powhiri (Maori welcoming ceremony) for the new students, then we learnt about the layout of the course. We participated in some activities to get to know each other; speed dating was funny, we ended up going the wrong way and messing it up, but it was a good way to learn a few names. 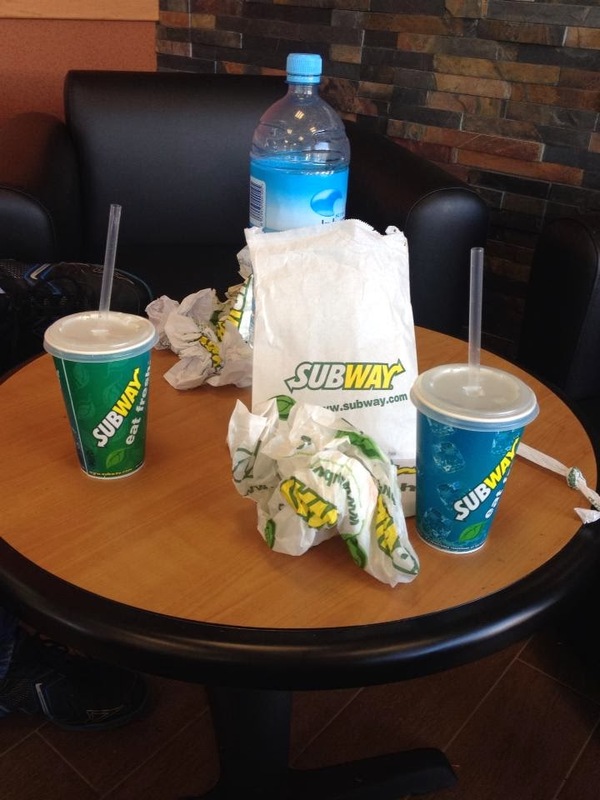 I met a nice girl and we had lunch together, which made it less scary, being the first day and all! The funniest part of the day was when the teacher and part of the class (it was a break) were looking at nail art on Google. I thought to myself I wonder how long it'll take till- and then bam, my nail art starts appearing. I didn't say anything until a student said pointed out that "those nails" were cool, and then I kind of choked out "those are my nails!" Then they just kept appearing, tutorials, nail art - ugh. It was both embarrassing and pleasing. Strange feeling. Later on, we were being taught about how easily pathogens spread, and had glitter on our hands as a comparison. That was quite cutesy, and I still have some glitter on my desk, reminding me! The girls in my class (no boys, shockingly) seem nice, I just want to get to know them all better. I hate the in-between stage. The only other thing I can think of that's worth noting about the first day is that my passion is unusual. For some reason I thought that more of the girls would be nail-obsessed, like me. However for most of them it is just a filler, or something to do, or a way to earn an income from home. Which is fine, I'm not meaning to sound judgemental - I've been the same in other things I've done that I'm not passionate about! I guess I was just a bit gutted that there wasn't anyone as "into it" as me. But who knows, maybe they're just keeping quiet ☺. There are gaps in even my most basic my knowledge that need to be filled. There are many parts of my course that I know nothing about - like acrylics. My course teaches me things that none of the others do - the little details, first aid, the business side of it. I like the teachers (and this is important, it's hard to learn from someone you just don't click with). At the end of the day, in six months time I'll have a nationally recognised qualification and a good, rounded knowledge of the subject. The next day I found out other people were finding this part boring and easy too, so it was nice to know I'm not alone! Time to stick it out. On day three one of the teachers talked to me about my concerns, which was really nice, and I felt a lot better. I'm not bothered at all now, I think it was just the first time I had been tempted to quit something because it was too... easy. Normally it would be the other way around, right? We learnt more interesting info that day, too - nutrition and fitness, allergies and irritation, storage and how to treat customers. There's a lot more to some of it than I thought! 1. You don't have to file the nail only in one direction, as is commonly thought. Modern, higher grit files are fine enough to not damage the natural nail. However, internationally a lot of people still work this way so that's probably where the mix up comes from. There's no right or wrong, unless you're using a cheese grater. If you are, please stop. 2. Nails get brittle, weak and easily-damaged if the cuticle is too long. This was the most eye-opening thing so far! Apparently if the cuticle is overgrown it steals the nutrients and oils that the nail needs to grow healthy, and this results in a sad nail that won't grow long without breaking. So push those cuticles back, ladies! 3. The dental industry has many similarities to the nail industry, at least in regards to the products they use. Thought this was kind of cool! I hope you enjoyed this rather long and more personal blog post! I enjoyed writing it ☺. Number 3 doesn't surprise me at all - OPI actually stands for 'Odontorium Products Inc' and they started out as a dental company. Also I'm so glad you stuck with the first week of your course! Wow, that's so weird... and cool! Interesting fact about long cuticles! Awesome to see someone following their dreams and not doing what other people think is best :) stick with it and in 6 months you'll be super proud of yourself (and us of you too). Without trying very purposefully to sound cheesy; good for you for following your dream no matter what (albeit oddly unfounded) prejudices there are out there! If only I could do the same. Really interesting reading about cuticle length. I have bendy, peeling nails; I don't really care for my cuticles though so I wonder if this could be contributing? Thank you!! And probably, try pushing them back a little and I'll update my blog with new information when I have it :). It's amazing what you can learn, even the stuff you thought you already knew. Can't wait to hear more. I really want to take the course to be a nail technician but I'm not very good at nail art. This has been holding me back...I'm unsure what to do. 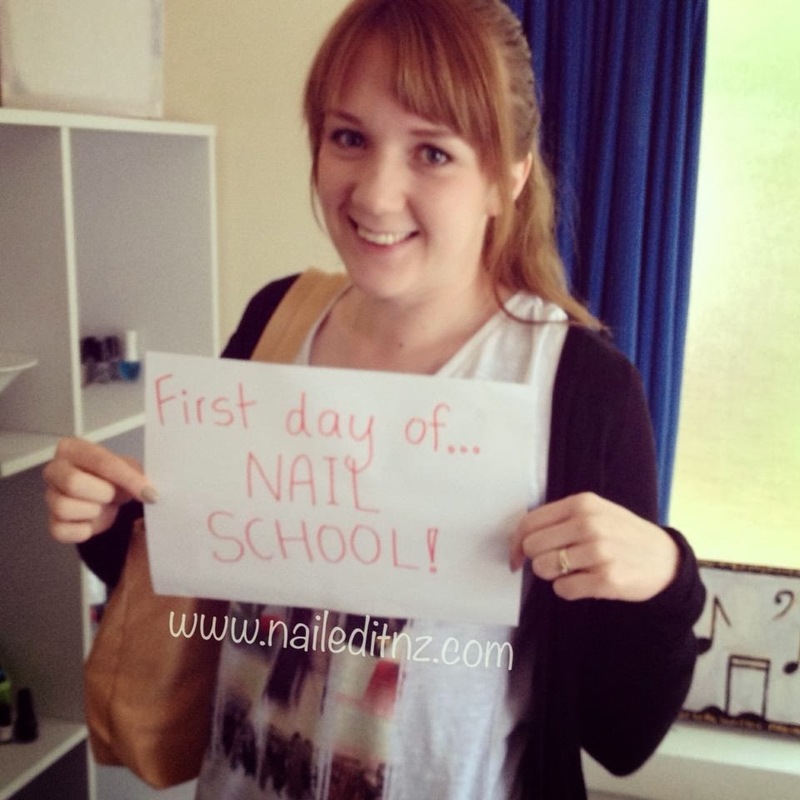 This was such an interesting post and I hope you will keep blogging about nail art school. I have the same "problem" at the moment you had, doing something I don't enjoy a bit but nail art isn't a big thing here in Germany (I doubt we even have nail art school, just cosmetics in general -.-) so I don't know what to do etc. Feeling quite depressed the past couple of month and it's only getting worse. Anyways, Fact 1&3 were really surprising to me, especially 3. For the 2nd fact, well, I've noticed before that pushing my cuticles back makes my nails grow faster but I didn't know the exact reasons so that was interesting as well :) Have fun on your second week too! I hope you find work more enjoyable soon, or find something else to do! There's always something new right around the corner! When I started my nail course, I was quite surprised that alot of the girls weren't as obsessed with nails as I was. This is a great choice for you. Your clients will be amazed at your nail art. It makes us obsessed girls stand out in the industry at least! Oh, I'd love to hear about your experience! Jessie, thanks for your thoughts about your experiences! This was very intriguing to read about (I am in a totally different field). I would love to read your continuing updates as you progress through the curriculum and I hope you have time to keep all of your followers informed! Heck, I hope you have time to continue to post your lovely nail art, too! Good luck and enjoy the process! Nice to read about :) I'm glad you are following your dream! I wish you the best, and please keep posting!! I would love to read your continuing updates as you progress ,thank you for sharing your experiences.